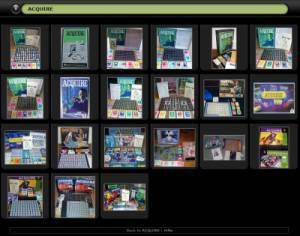 „Thank you“ to Lloyd for the photos in the picture-gallery. 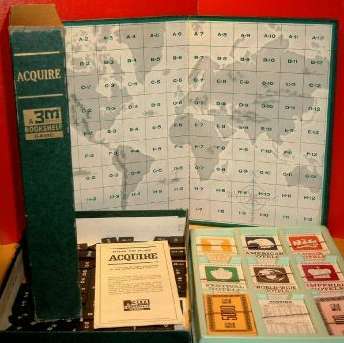 ACQUIRE der Klassiker unter den Wirtschaftsspielen, vom Erfolgsautor Sid Sackson, erschien erstmals 1962 im 3M Verlag. 1979 schaffte es das Spiel auf die Auswahlliste zum Spiel des Jahres in Deutschland. Aktuell in 2008 erschien der immer noch junge Oldie neu bei Avalon Hill. this is supposed to reduce the luck factor for the game and make it more strategic. Thank you to Mr. Wai from Hong Kong. He gave us these informations. 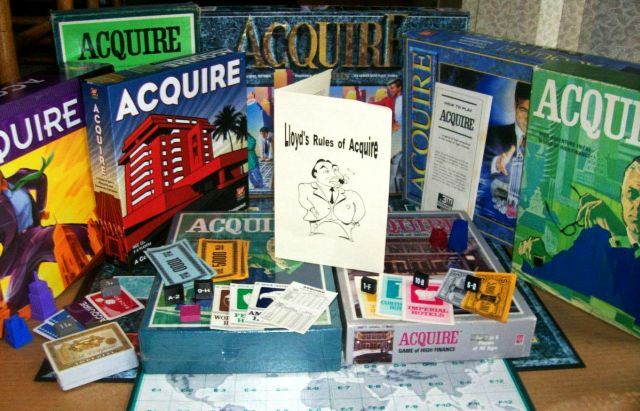 Acquire can be very boring if a person has to play an entire game without any money or involvement in the game. 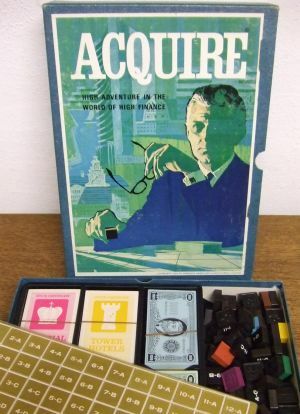 Lloyds rules were developed to help keep every player involved in the game and keep the outcome undecided until the end. 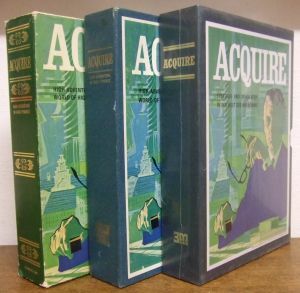 Lloyds Rules were first used in 1980 and have been revamped to coincide with the 1999 version of Acquire. (Which uses corporations instead of hotels.) 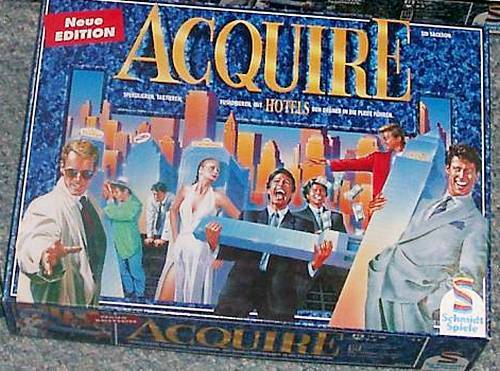 They can be utilized in all versions of Acquire. 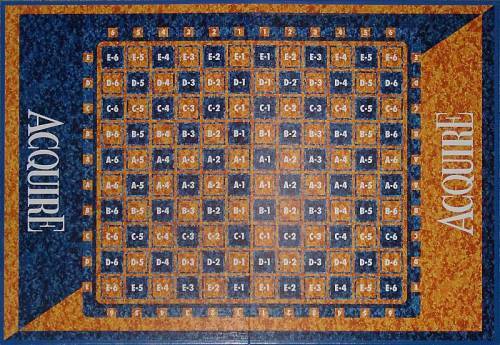 Lloyds Rules can be used as a variant to the original rules depending on the choice of the players. 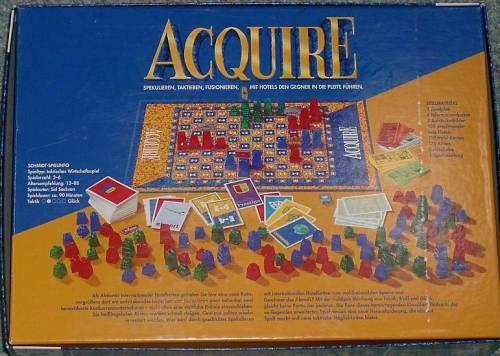 Acquire is by far one of the best games ever created and with Lloyds Rules the game has become better. These rules are printed into a convenient booklet that fits neatly into the original versions of this timeless classic. Please feel free to send me an e-mail if you have questions. I will be glad to provide you with an answer.